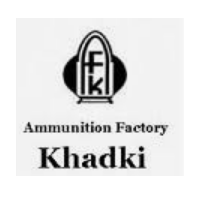 AFK Recruitment 2018 – Ammunition Factory Khadki (AFK) job notifications for 25 posts of Graduate & Diploma (Technician) Apprentices in various disciplines. The detailed eligibility and application process are given in below. Graduate Apprentices: A degree in engineering or technology in the relevant disciplines from a recognized university/institute. Technician Apprentices: A Diploma in engineering or technology in the relevant disciplines from a recognized university/institute. Note: Engineering Graduates or Diploma Holders who had training or job experience for a period of one year or more after attaining the essential qualifications shall NOT be eligible for being engaged as an apprentice under the Act. Age limit (As on 31.10.2018): Above 14 Years. Duration of Apprenticeship: One Year. The selection process will be based on Document Verification, Interview and Medical Examination. Selection of Candidates will be made through Walk-In-Interview for this the list of candidates called for interview. How to apply for AFK Recruitment 2018? All interested and eligible candidates can send duly filled application form in prescribed format along with required documents to the following postal address on or before 31 October 2018.